Sports, and especially ‘in-play’, betting is leading the growth in the UK’s online gambling market, with the sector worth more than £2bn in 2012. For example, football betting has grown by 69% during 2011 to 2012, making it the second most lucrative, after horse racing. Stickeyes has released a report on the sector, which looks at the top 50 keywords driving online search, and which brands are cleaning up. William Hill has the biggest share of the market, while Ladbrokes, Paddy Power, Betfair and Bet365 have around 11% each. William Hill also dominates search volume, though the other brands aren’t so close together. With the growth of in-play betting and the trend towards using phones and tablets as second screens, consumers are turning to their mobile devices to gamble. During 2012 the number of searches conducted via mobile devices grew by 75%, with sports betting being the largest growth segment. According to a Mintel /GMI survey 29% of users who have gambled online do so via a smartphone. If you’d like to see a full copy of the report, email hello@stickyeyes.com. Almost half of businesses (47%) that carry out user experience testing spend less than £10,000 per year on such initiatives, while 7% don’t actually spend anything at all. SEO Tools are a time saver for everyone. However, the majority of the tools are too costly for small businesses or digital startup. 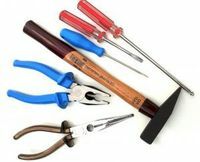 So, here are five cost-effective SEO tools that would be beneficial and helpful to them.